The sixth full-fledged entry in the series of three-dimensional fighting games developed by Team Ninja and Koei Tecmo. The game features an improved combat system designed for beginners and a completely new graphics engine that features more realistic visuals and physics. 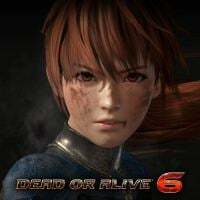 Dead or Alive 6 is the sixth entry in the series of fighting games developed by Team Ninja and Koei Tecmo. The previous game in the series debuted in 2012 on Xbox 360 and PlayStation 3. Three years later, it was ported to PC and modern consoles. The new game was designed as a fresh start for the franchise. It is meant to attract people who previously never played the Dead or Alive series. The game was announced just before E3 2018. The gameplay style of Dead or Alive 6 doesn’t differ much from its predecessor. The game remains a three-dimensional fighting game with a rich gallery of playable characters – each with a unique fighting style. Fundamental changes can be seen in the details of the combat system. The game is more accessible for newcomers and casual fans of fighting games. The developers introduced a button responsible for performing spectacular attacks and combos. For the first time in the series, there is a meter of special attacks –after filling it, the players can perform a series of devastating hits. Dead or Alive 6 features variety of singleplayer and multiplayer modes. In case of the latter, the players can participate in regular matches with friends and in ranked matches against people from all over the world. Dead or Alive 6 presents the action in a new way. The character models feature proportions and animations that are more realistic. During the fight, the fighters are sweating, receiving visible damage (like bruises) and their face changes depending on the situation. The arenas are impressive as well – they are filled with details and things that can be destroyed during the battles. The game supports 4K resolution and it features a new physical engine and a dynamical lighting system.